Making a decision about how we can manage the waste we create is one of the most important contributions humanity can make to reduce its impact on the natural world. For this, Global Waste Management Outlook (GWMO), an initiative of United Nations Environment Programme (UNEP), and the International Solid Waste Association (ISWA), have collectively announced some goals and released a report. The recently launched GWMO will help the waste management industry define its future over the next decade. It also called for investments to drive global clean-up of the billions of tonnes of waste “still dumped into our environment”. The GWMO released a first of its kind report in the Belgium capital of Antwerp on September 7.
quoted by UNEP Executive Director Achim Steiner. Why would any politician be concerned about managing waste? They must be given their profit to implement these ideas, says the GWMO report. “Inaction is costing countries five to ten times more than investments in proper waste management. The global waste management goals proposed by this report have the potential to result in dramatic reductions in greenhouse gases, the creation of millions of green jobs and economic benefits in the hundreds of billions of dollars. By achieving them, we would also be taking massive strides toward realising the Sustainable Development Goals." The volumes of waste are likely to even double in lower-income African and Asian cities by 2030, as a perilous result of population growth, urbanisation and rising consumptions, as alarmed by GWMO. About seven to 10 billion tonnes of urban waste is produced each year and three billion people worldwide lack access to controlled waste disposal facilities, inadequacy in waste management has showered major health, economic and environmental problems. 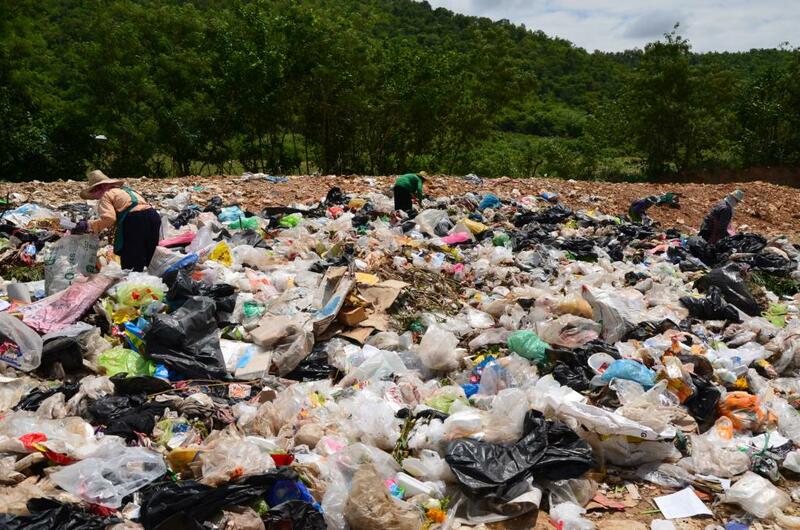 “This situation can be changed only if countries enforce proactive policies and sound institutions that encourage waste minimisation and recycling. Collectively, we have the technological capacity to solve the global waste problem. International cooperation will be vital in preventing developing countries from becoming dumping ground for hazardous materials,” said United Nations Environment Assembly president Oyun Sanjaasuren. private sector are running their initiatives of treatment of country’s e-wastes. It involves about 30 tonnes of e-wastes per month and marketing of the recovered materials adding to it safe disposal of hazardous wastes. What could be a better and profitable business than this? Another success story is that of Surat in India. In 1994, the city in Gujarat suffered an outbreak of a plague-like disease caused by major flooding that was a consequence of uncollected waste blocking the drains. Over the following 18 months, the city administration or the Surat Municipal Corporation transformed the city into one of the cleanest cities in the region. dumpsites, highest quantity of waste belongs to municipal solid waste and that of the e-waste being the lowest. An old protasis goes like “an ounce of prevention is worth a pound of cure”. Thus waste prevention can be the foremost method which, as given by UNEP, should include elimination of hazardous waste, eco labels on the product, green purchasing choice of customers, segregation at source, awareness to locals to achieve the goals of GWMO. These goals include access for all to adequate, safe and affordable solid waste collection services, stopping the open dumping and burning of wastes, sustainable and environmentally sound management of all waste, substantial reduction in waste generation through prevention, among others.